Schedule an eye examination in one of our four locations at Man O War and Nicholasville Rd., Richmond Road and Man O War, New Circle and Russell Cave, or Nicholasville, Ky. Maintaining healthy vision is worth it. Whether you need a Nicholasville Road Optometrist, Richmond Road Optometrist, Nicholasville Optometrist or a North Park Optometrist, the eye care specialists at Eyemax welcome you to our practice. 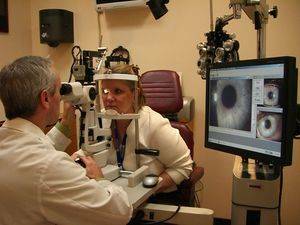 We will provide quality care for all of your optometry needs. We participate with most major medical and vision insurance plans and will file claims to your insurance carrier on your behalf. You can click on your insurance below to check your benefits before your visit with us. If your insurance is not listed here, or if there is not a link available, you can go to the website listed on your insurance card to check your benefits and to make sure EyeMax is in network with your carrier. If EyeMax is not in network with your carrier, we will provide you with all necessary documentation to file your claim.